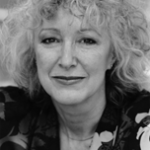 Journalist Lesley Hazleton talks about AFTER THE PROPHET. It’s about the wars of succession after Mohammed’s death that led to the split between Shia and Sunni. And author Tracy Kidder talks about Haiti, Dr. Paul Farmer, and the organization Farmer founded, Partners in Health. Kidder’s book is MOUNTAINS BEYOND MOUNTAINS, published in 2003. As the prophet Mohammed lay on his death bed in 632 AD, the plotting about who would succeed him swirled around his prostrate form. The wars of succession that ensued are still going on today, in the split between Shia and Sunni. Yet Islam was a religion founded on an ideal of unity — unity that, my guest Lesley Hazleton says, was undermined by human folly. Her fascinating book, [amazon-product text=”After the Prophet: The Epic Story of the Shia-Sunni Split in Islam” type=”text”]0385523939[/amazon-product] chronicles the bloody history of this folly — the tensions, jealousies and power plays that followed on the heels of Mohammed’s death. Hazleton is a psychologist and journalist who writes about the intertwining of religion and politics in the Middle East. In addition to AFTER THE PROPHET, she’s the author of [amazon-product text=”Mary: A Flesh-and-Blood Biography of the Virgin Mother” type=”text”]1582344752[/amazon-product] and [amazon-product text=”Jezebel: The Untold Story of the Bibles Harlot Queen” type=”text”]0385516150[/amazon-product]CORRECTION: In the audio, Lesley Hazleton is mis-named “Laurie” by host Francesca Rheannon. The heartrending scenes out of Haiti in the wake of the devastating earthquake are spurring Americans to open their pocketbooks and give to the relief effort. One of the best places to give is to the organization Partners In Health, which has been bringing health services to the poorest people in Haiti for more than 20 years. It does this by training local doctors and medical workers, and by listening to the people it serves to find out what they need and how best to give it. P.I.H. 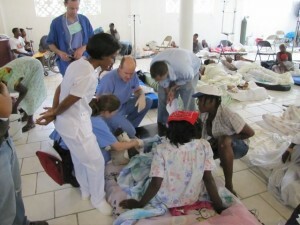 serves some 1.5 million people in Haiti’s rural areas. It has so gained the trust and respect of Haitians and the international community alike, that it has been tasked with leading one of the largest medical operations for earthquake victims, at Port au Prince’s Central Hospital. It is coordinating care of critically injured Haitians with the US Navy hospital ship Comfort and running 24 different operating rooms round the clock. Partners in Health was founded by Dr. Paul Farmer, a Harvard-educated anthropologist who traveled to Haiti to write his thesis in anthropology and ended up deciding to become a doctor to serve the people he had come to know in that desperately poor country. Farmer and Partners in Health are the subject of Tracy Kidder’s 2003 book, Mountains Beyond Mountains: The Quest of Dr. Paul Farmer, a Man Who Would Cure the World . Farmer has been named the UN’s Deputy Special Envoy to Haiti and is expected to be instrumental in Haiti’s reconstruction efforts. 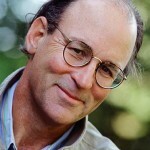 Tracy Kidder is the author of numerous books, including Among Schoolchildren . He’s spoken to Writers Voice about his memoir, My Detachment , and his most recent book, Strength in What Remains .